What is a Buddhist Sangha? The Book for building Buddhas. "Perfect for tossing the Dragon Ball"
The TAI CHI BEGINNER PROGRAM of Shaolin Chi Mantis is divided into 12 Dharma Trails. Each of these FIRST 12 Dharma Trails contain 3 separate file paths or "trails" of information, pictures, lessons, and excerpts from the TAI CHI BEGINNER book by Buddha Zhen Shen-Lang. The QI TRAIL contains the information and lessons to develop Qi (chi) breath energy. The DHARMA TRAIL contains the spiritual wisdoms, usually Buddhist Dharma, to broaden the student's mental perspectives and introduce new concepts of life as each section of the Yang Style Taiji Short Form is taught movement by movement. 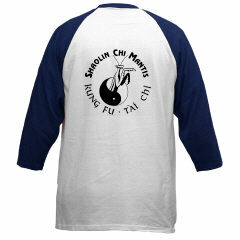 The APPLICATION TRAIL contains the self-defense, Combat Taiji (Tai Chi) and Push Hands lessons. These FIRST 12 Dharma Trails teach the ENTIRE Yang Style Taijiquan Short Form of Shaolin Chi Mantis. 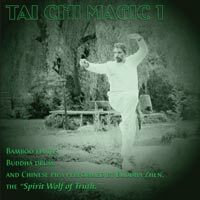 By separately teaching Qigong, Self-Defense Applications, and Spiritual Wisdoms, the Tai Chi Form can be learned according to the demands of each perspective. 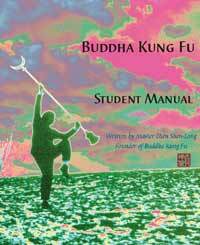 It took several years, and resulted in a book, DHARMA DIRECTORY of Shaolin Chi Mantis. This book details all the various Buddhist Dharmas (wisdoms, morals, philosophies...) and how they are to be taught in combination with the various Gongfu Forms and Tai Chi lessons. 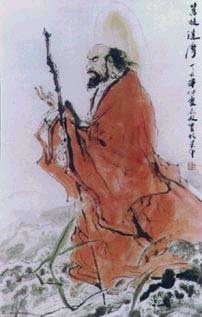 This further enhances the spirituality of Shaolin Kung Fu, perhaps making it worthy of Bodhidharma's appreciation.